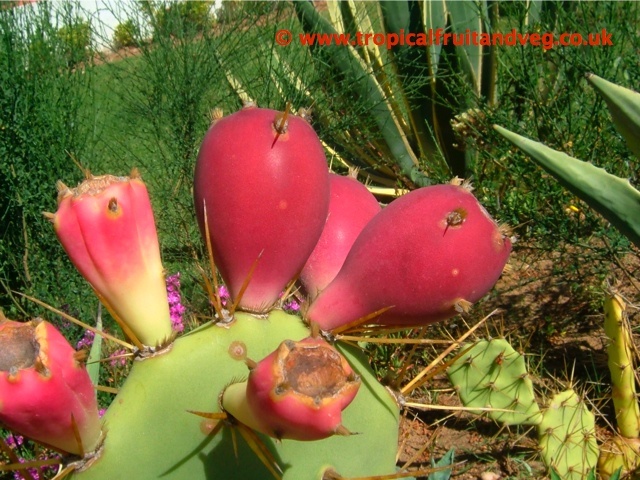 Prickly pears, the fruit of the cactus plant, typically grow with flat, rounded segments that are armed with two kinds of spines; large, smooth, fixed spines and small, almost hairlike spines called glochids that easily penetrate skin and detach from the plant. 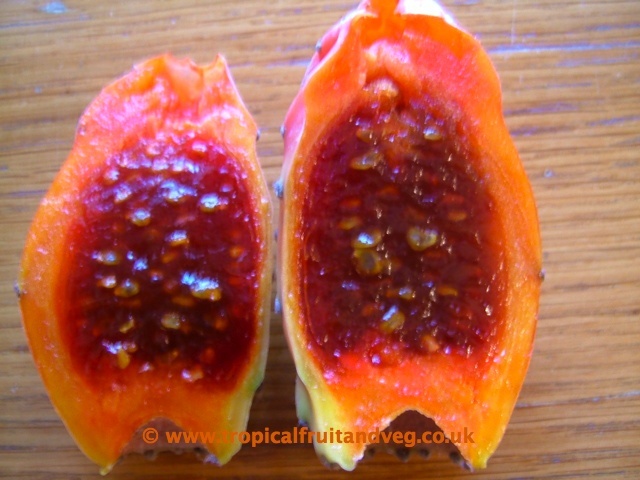 They can grow up to 10 cm long depending on the variety. 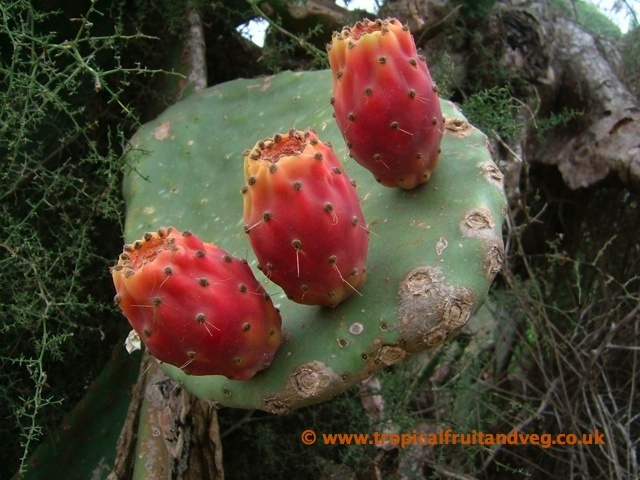 Not all are edible and the most common edible variety is Opuntia ficus indica.